There are sleepers, and there are deep sleepers. In golf destination terms, St. George, Utah, is both. For quality of public-access courses, it’s as deep as the crimson-tinted canyons of Zion National Park, whose southwestern gate is just 40 minutes east — or even the Grand Canyon itself, the less-visited but more beautiful North Rim of which is within a two and a half hour drive. It’s truly the anteroom to some of America’s most magnificent natural wonders, but, it turns out, it’s also among the West’s most impressive places to tee it up over the course of several days on courses that never fail to thrill and challenge in very different and distinctive ways. Maybe it isn’t such sleeper after all, though the good folks who run southwest-ern Utah’s Red Rock Golf Trail golf marketing consortium still treat it as such. They work hard to get out the word about their stellar lineup of 13 affordable and visually stunning courses, great lodging, amazing restaurants, sweet spring and fall weather (their high seasons roughly run late September through November and March through May, with average daytime temperatures from the mid-60s to high 80s), hey-you’re-family-to-us service — and, surrounding it all, some of the Southwest’s most incredible variety of outdoor recreation, from river rafting to rock climbing and even snow skiing in winter at Brian Head Resort near Cedar City, just a jaunt up Interstate 15. And plenty of recreation of another, flashier kind — the gambling and glitz of Las Vegas — is an hour and a half the other direction, which makes this fast-growing high-desert town as accessible as many other more well-known getaway places throughout the region, including Palm Springs and even the Monterey Pen-insula. Fly into Vegas if you’d like, or blow right into St. George’s nifty little airport served by several airlines, chiefly Delta via Salt Lake City or United via Denver. OK, now that we’re breathless with thoughts of St. George’s embarrassment of outdoorsy riches (or is it that we’ve just climbed up several stories of stair-stepped trails to the highest of Zion’s Emerald Pools? ), let’s get back to golf. Lots of golf. Unforgettable golf of stand-out-against-the-desert green streaked with the red of oxidized iron-rich sandstone cliffs, the deep ochre and fuschia of wind-cut spires and various brown and gold hues of flood-chiseled canyons and craggy peaks. Start at the red cliffs jutting from the hills north of town — Snow Creek Canyon State Park, to be exact, where 18 eye-pop-ping holes of The Ledges Golf Club snake across a series of plateaus and arroyos in dramatic fashion, which makes sense since it was laid out by Matt Dye. Yes, THAT Dye family. Matt clearly carries some of Uncle Pete’s fool-the-eye design DNA, stationing green complexes against soaring moun-tain backgrounds that can play tricks with one’s club-pulling powers and asking for tee shots that must negotiate a whole lot of geological action to find safety — sage-stuffed fissures, rock outcroppings, canted landing areas and the like. Even a couple water features get in the game, on holes 9 and 18. The course is wholly exposed to the elements, several hundred feet above the Virgin Valley floor and therefore a few degrees cooler. Capricious winds can ratchet up the challenge factor — Dye’s green complexes put negotiating and the surrounding rust-tinted hills will threaten to grab your attention at every turn, so you might as well block out an hour before or after your round to explore them up close. And by all means stick around for break-fast, lunch or dinner in the clubhouse’s Fishrock Grille. The wraps and sandwiches are standouts, and the chefs have even managed to put their own crunchy spin on fish and chips (the best “fish sticks” you’ll ever taste). 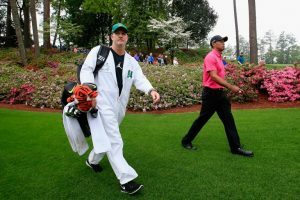 In the market for a golf school? The Ledges steps up with its own 4,000 square foot academy complete with three air-conditioned teaching bays outfitted with all the right gadgetry. 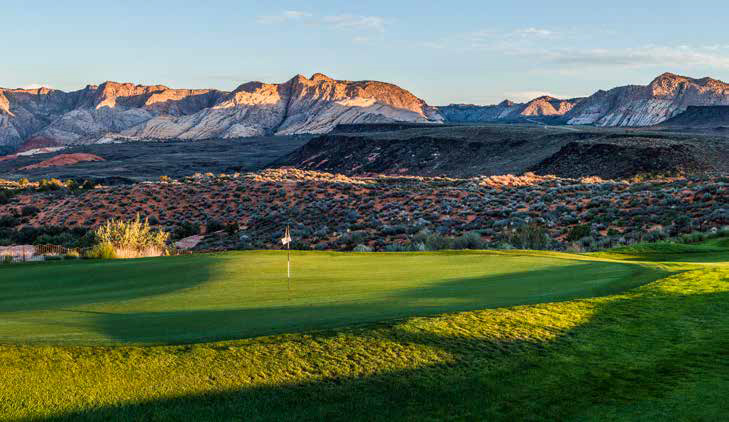 Not far from The Ledges is Entrada at Snow Canyon, a semi-private Johnny Miller design that helped put St. George on the golf getaway map when it opened in the 1990s. You’ll need to stay in one of the property’s high-end villas to guarantee access to the course and they’re technically not part of the Red Rock Golf Trail, but a stretch on the back nine — set among black lava and reminiscent of the great courses on the Big Island of Hawaii’s Kohala Coast — are alone worth the reservation. While Ledges and Entrada anchor the golf on St. George’s western and northern flanks, you’ll head south and east for the greatest concentration of holes and widest variety of settings and flavors. Right in town is the charming 9-holer aptly named Red Hills, built by the city in the 1960s in a cul-de-sac of, yes, more red rocks. “It’s the course I grew up on, and we’d play it almost every day in the summer when I was a kid,” said photographer Brian Oar, who moved back to St. George a couple years ago after living up north in Park City and Sandy. 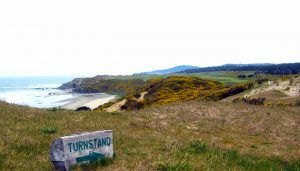 “It’s one of prettiest nine-holers anywhere — and tougher than you think.” Tee times are at a premium as locals still flock to take on its tricky tee shots and small greens. From there it’s just a short drive down Bluff St., past a gaggle of hotels (stay at the Clarion for solid, affordable rooms, a great pool, daily breakfast and easy access to everything) and onto I-15 to Washington City for a round at one of the best munis in the Southwest, Green Spring Golf Course. It’s more old-school in feel and function with of elevation change, design variety and drama and fine conditioning for so much play — everyone from late-afternoon kids to casual weekenders to serious scratch players (you get the feeling you wouldn’t want to put too many greenbacks on the line with a regular). After a bucolic, gently climbing opening quartet, holes 5 and 6 (par 3 and par 4) get down to serious desert golf business, ping-ponging across a wide ravine that marks the high point of the front nine. The back starts in a lowland, parkland setting, then climbs back up into the sage hills for a rollercoaster ride to the finish. No. 16 is a conversation-piece par 5 that wraps around another ravine with well-defined three-shot or two-shot options. No. 17 is a cliffhanging but not overly long par 3, cradled in rock and sage and begging for a photo, while the home hole moves quickly downhill toward the clubhouse with great views of the moun-tains above. Those same mountains — the Pine Valley Range and their highest point, 10,369-foot Signal Peak — also draw the eye and imagination at the two courses in nearby Hurricane (the locals pronounce it “Hurricun”), Sky Mountain and Sand Hollow, plus Coral Canyon, another locals’ favorite in Washington just off I-15. Coral Canyon is more high desert in feel in the Vegas/Scottsdale mold, with holes built around rock outcroppings, lots of downhill tee shots, elevated greens, some water features, forced carries over wetlands and ravines, and interesting shot angles. The drama starts right away with a No. 1 box that teeters atop a rocky knoll, and doesn’t let up from there. The tee sheet fills quickly, even in summer when temperatures regularly nudge above the century mark. It’s very playable, engaging and convenient to downtown, with a friendly clubhouse grill serving healthy helpings of smiles along with its fine breakfast and lunch fare. Sky Mountain could be the most aptly named course in Utah. It’s all about both natural features working in tandem to conjure a thrilling golf experience, starting with one of the most incredible practice range views in the world, overlooking a canyon and wind-sculpted red sandstone rocks. The course itself ranges among several rounded hills and into ravines, with the final stretch hugging the canyon itself for yet another rousing finish. The 17th tee clings to a precipice overlooking a deep wash; you just want to grab an old ball, aim at a right angle to the fairway and bust one out into the ether. Go for it. It’s fitting, and the shot will burn into your memory forever. This place does drama golf right. Then there’s the coup de par, Sand Hollow Golf Resort, which sits out by itself, visible from the highway but remote from civilization in general, as if ensconced in a magical desert world of its own making. One golf scribe called it “perhaps the greatest unknown golf course in America,” and he’s right, though the “unknown” part is changing. Word of mouth is out and the raves keep coming. This place is special. Sand Hollow is a full-fledged destination resort with a big boy golf course whose front nine rolls and plunges through high-desert sage dotted with stunning red sand bunkers with a decided links vibe (that’s right, we said it, and it’s true even though there’s no ocean within 500 miles). Then you make the turn and can almost hear the cinematic musical soundtrack kick in. No. 10, a straightforward par 5, leads you to hit No. 11, a pretty downhill par 3 playing to an infinity pool-like green. That’s where you catch a glimpse of the extreme golf calendar-worthy 12th tucked along a natural ridge. On the right are eon-pocked cliffs; to the right is a 200-foot drop to the Virgin River valley. The tee shot asks you to thread to needle between, though the fairway is wider than it looks. 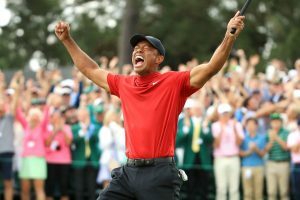 Even a big push to the right has a chance, as one Golf Tips writer can attest — a fortuitous carom took his ball from certain oblivion to center-cut perfection in a breathless instant. From there through hole 15 it’s like the desert version of Pebble’s most famous stretch, the Pacific-hugging 6th through 10th. Every shot surpasses the last for eye candy and shotmaking pucker-factor, culminating with the simply stunning tee shot on No. 15 from between hulking red rocks (play from that box even if it’s closed; it’s that good), across a ravine and onto a long, narrow cliffside green. Then it’s back up onto the plateau for a settle-your-nerves final trek to the beautiful clubhouse with floor-to-ceiling 180-degree views — from the gateway to Zion in the east to the sere desert mountains to the west. But wait, there’s more: Sand Hollow also has a lovely links nine with blowout bunkers (think Bandon Dunes on Mars), with another nine on the drawing board. Rent a six-club set of replica hickories available in the clubhouse, ditch the cart for shoe leather (or golf sandals if you’ve got ’em), and have at it. It’s a pure blast. In fact, that’s one of the phrases that’ll no doubt bubble up every time you think of your first foray into St. George golf. Blast. Beauty. Big sky, big mountains, big shots, big food and big fun, all wrapped in a surprising package of high-end comfort mixed with that ageless, raw, multi-hued beauty that gave Native Americans their bound-to-the-land culture, enticed gen-erations of American explorers in the nation’s earliest days and continues to enthrall us today, from any given green complex to the soaring cathedral-like cliffs of Zion. One visit to this epic corner of creation and you’re hooked, in the best possible way.